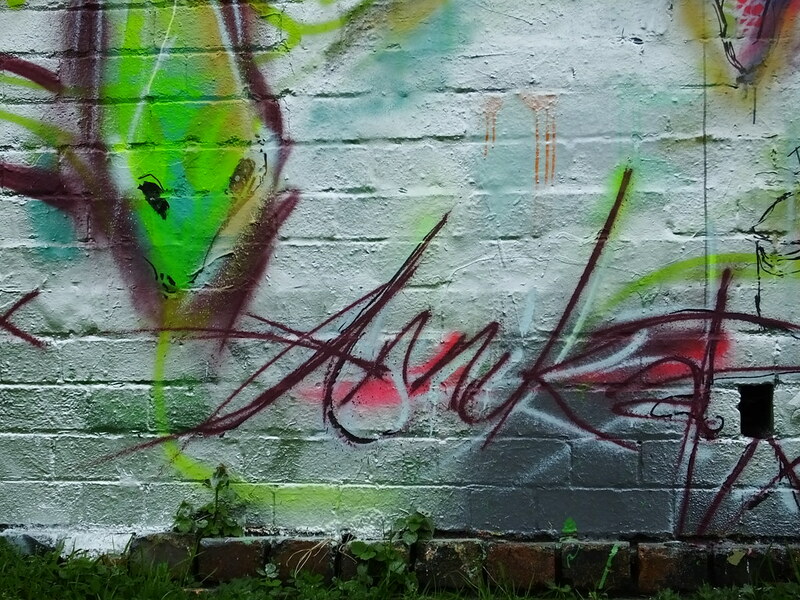 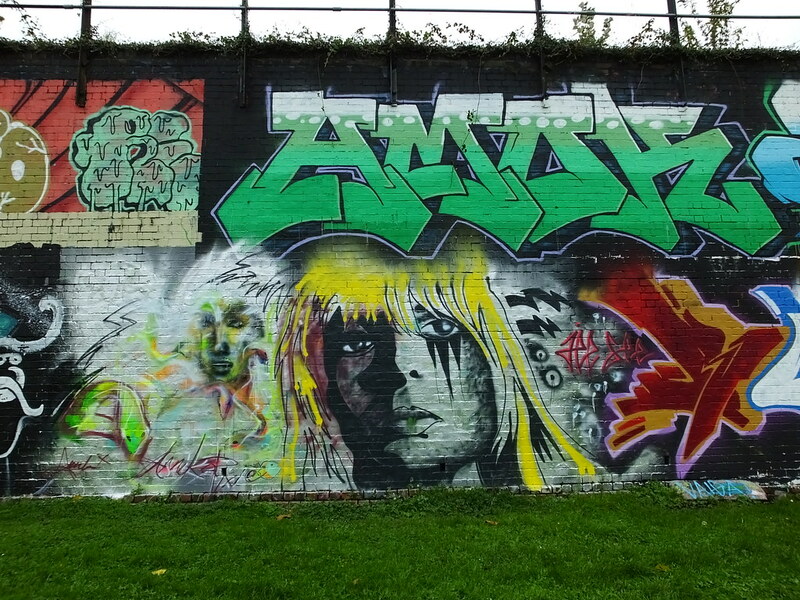 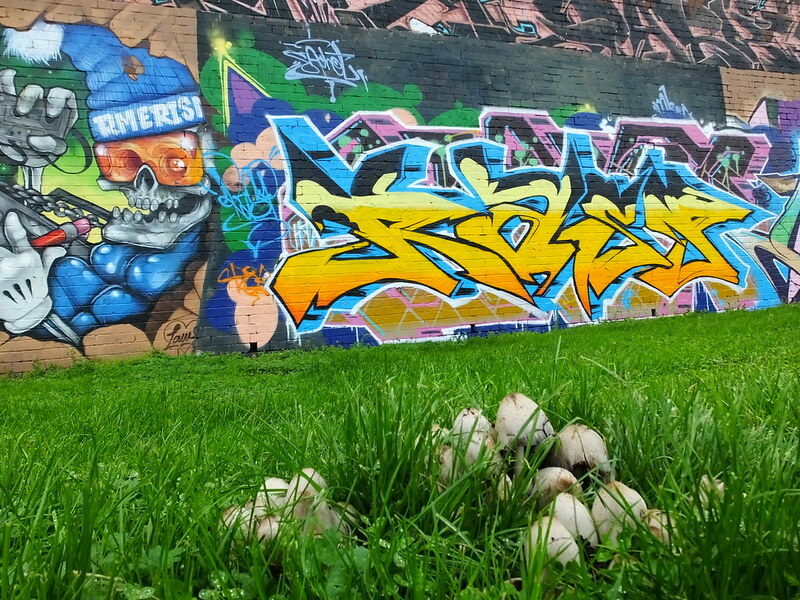 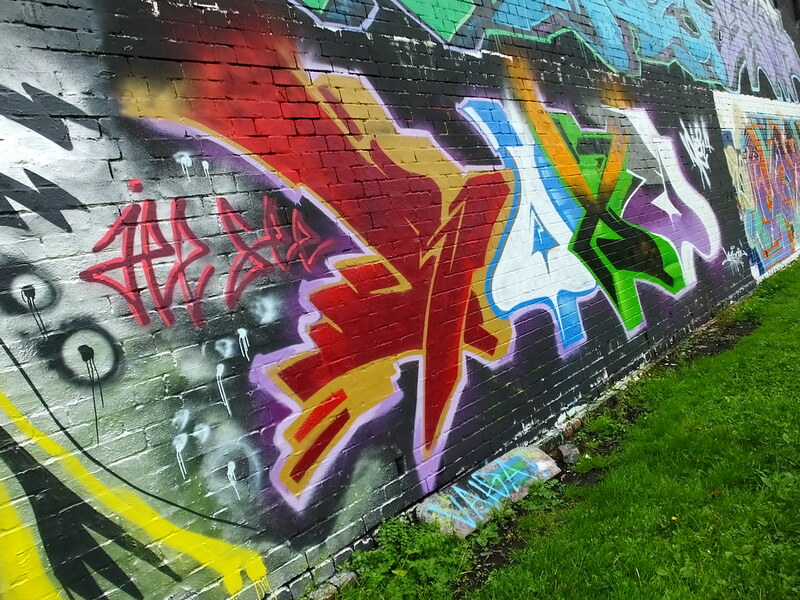 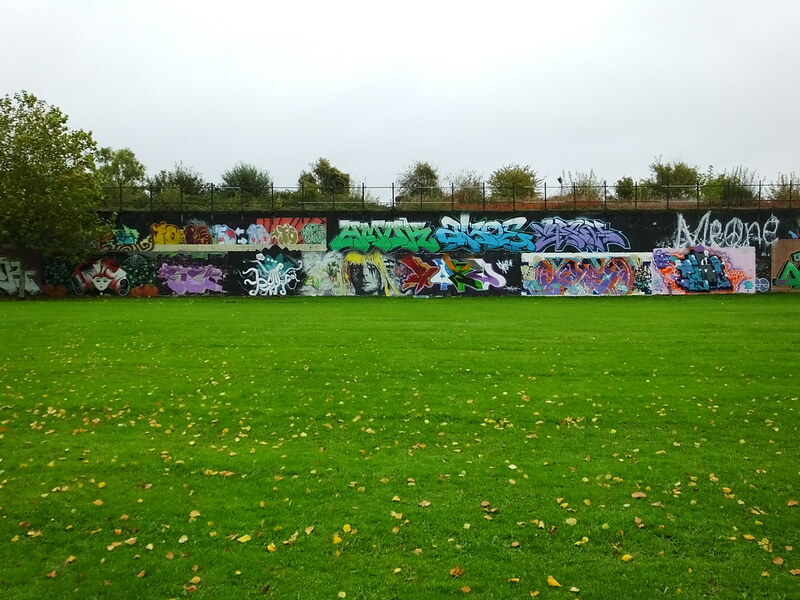 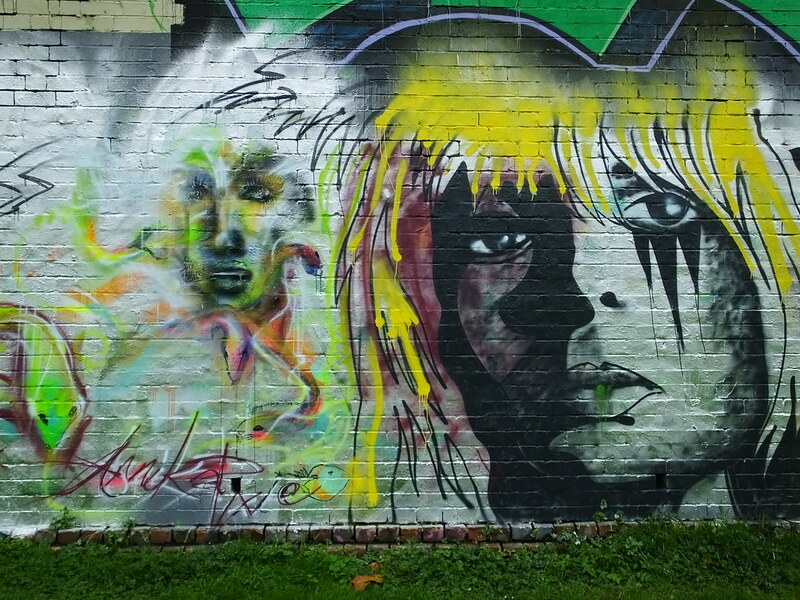 Sevenoaks Park is located in the Grangetown part of the city and attracts a whole range of artists who paint along the 200m legal graffiti all year round. 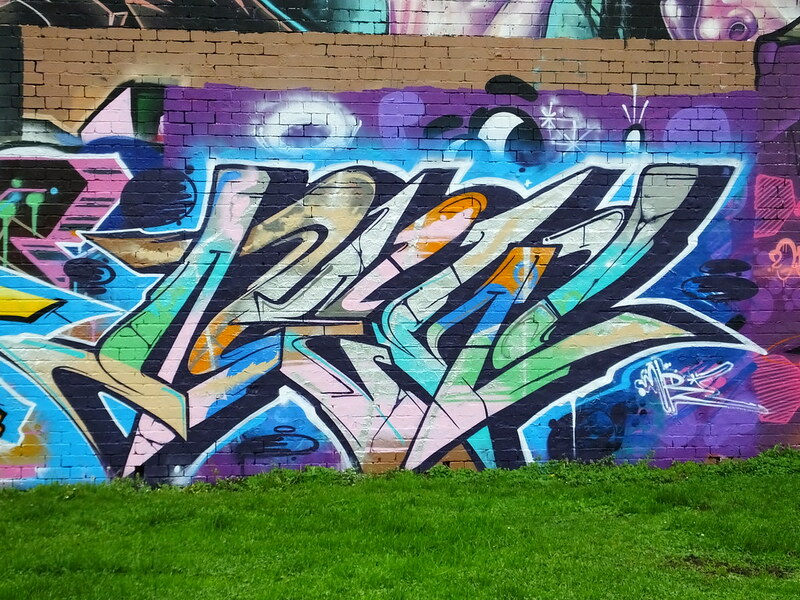 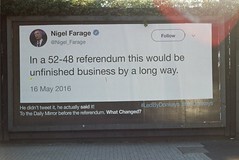 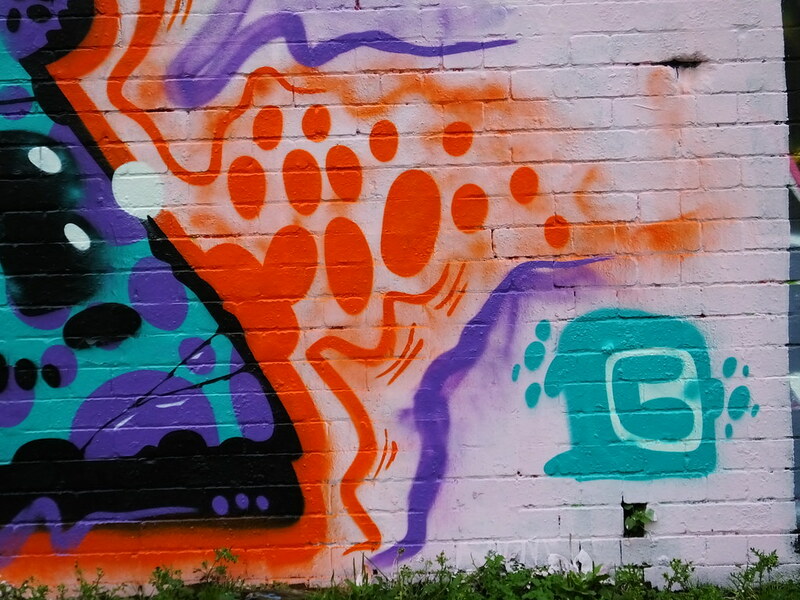 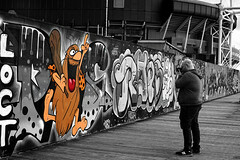 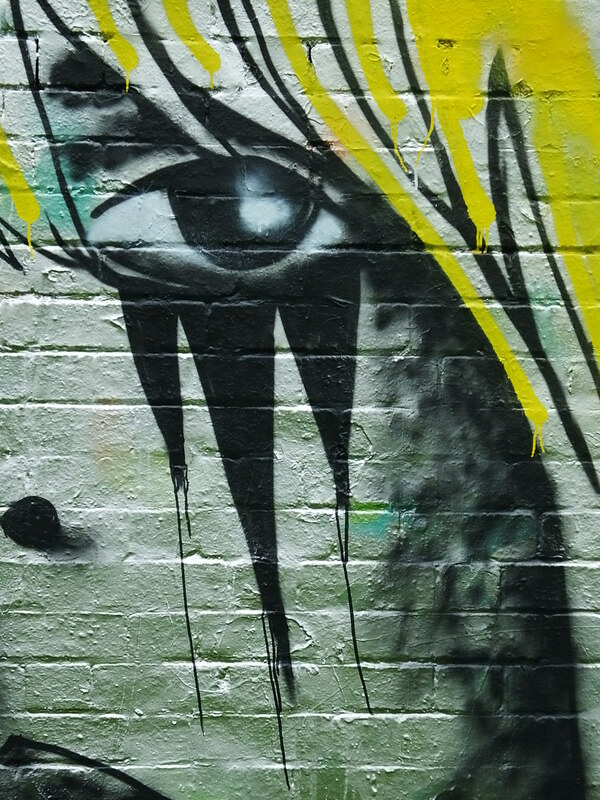 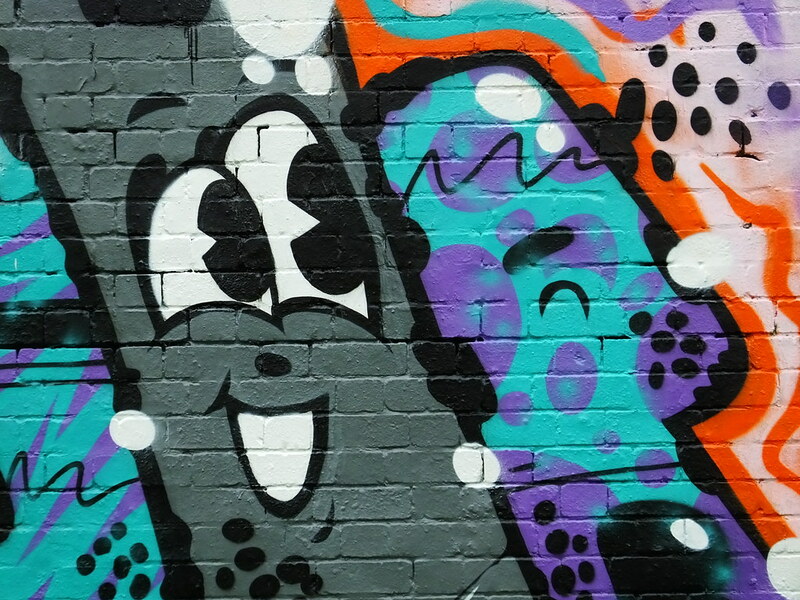 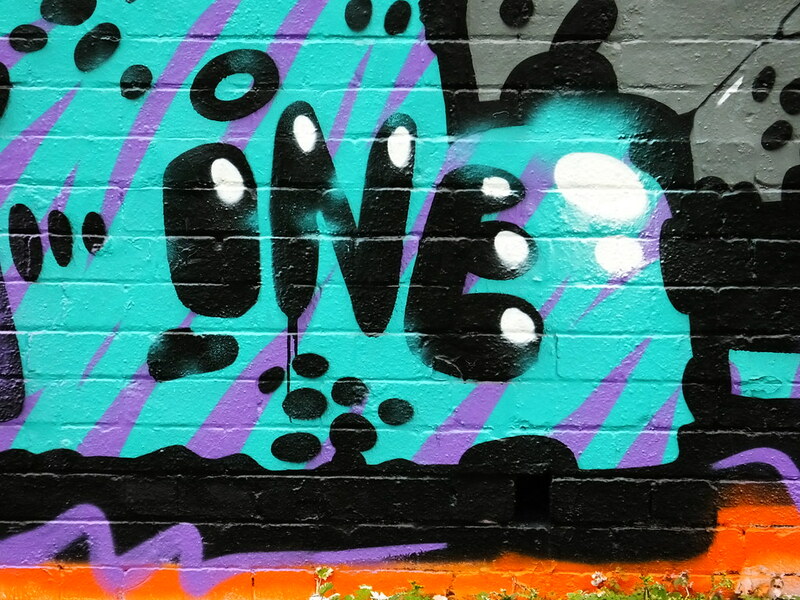 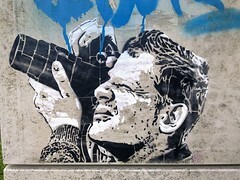 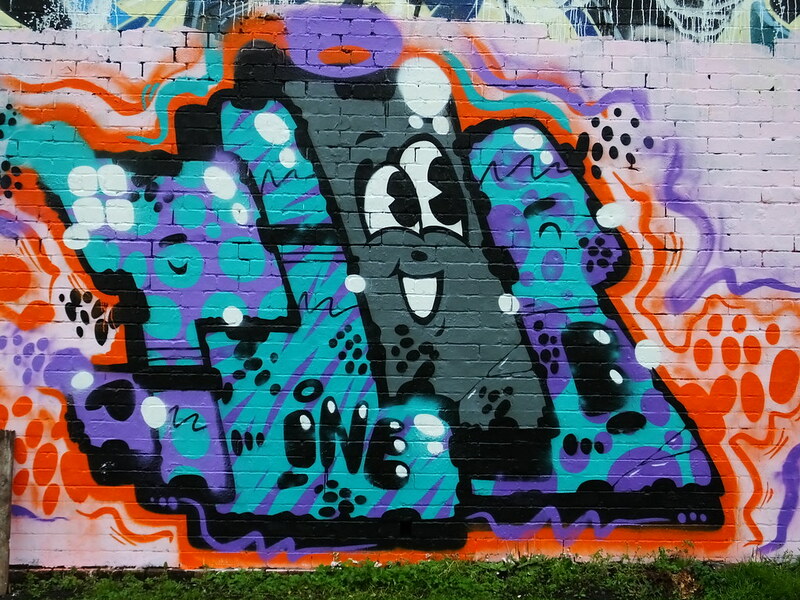 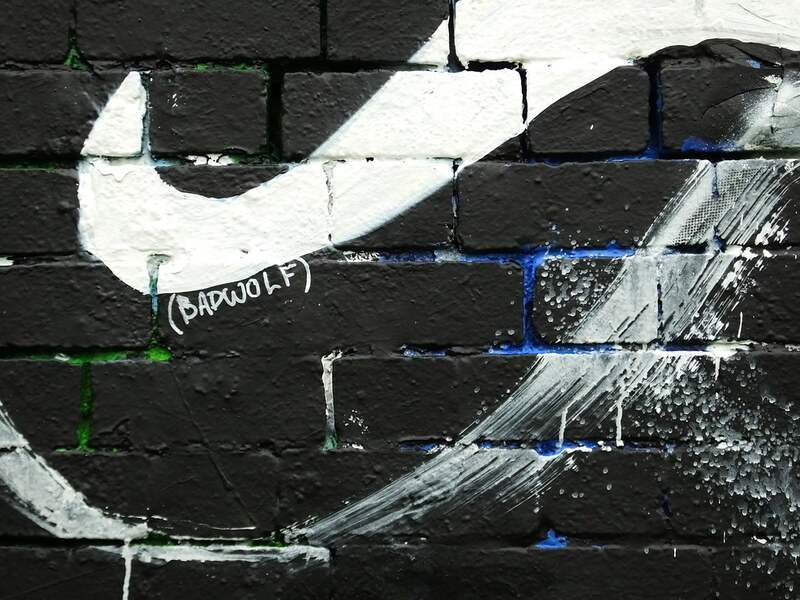 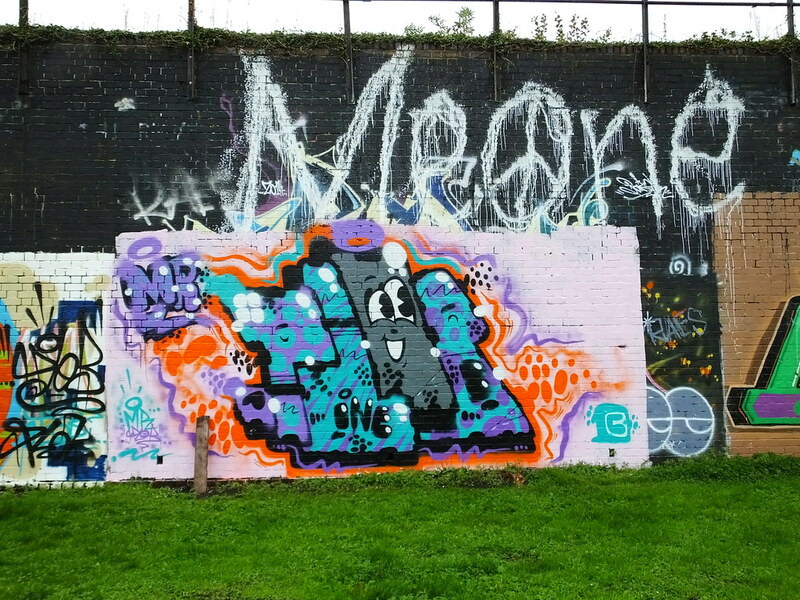 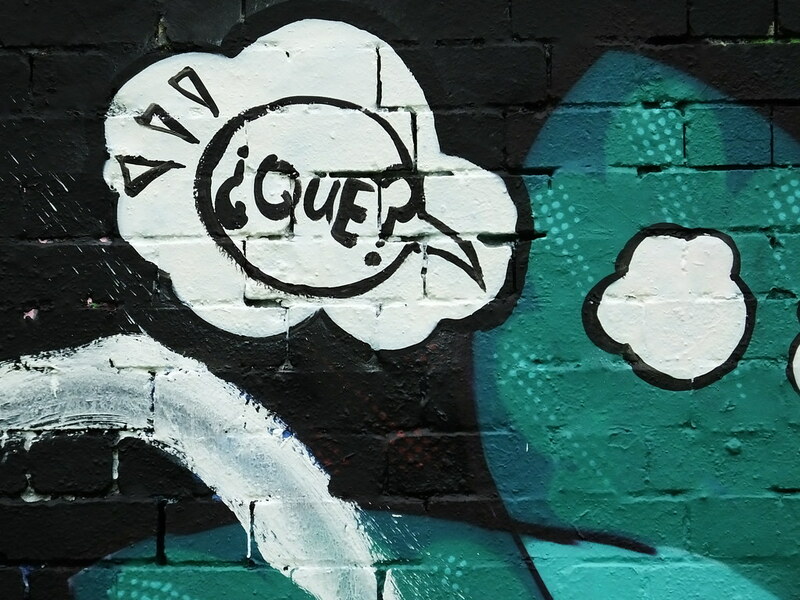 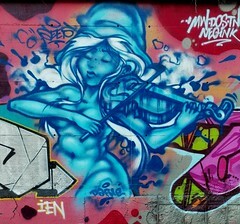 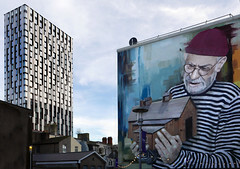 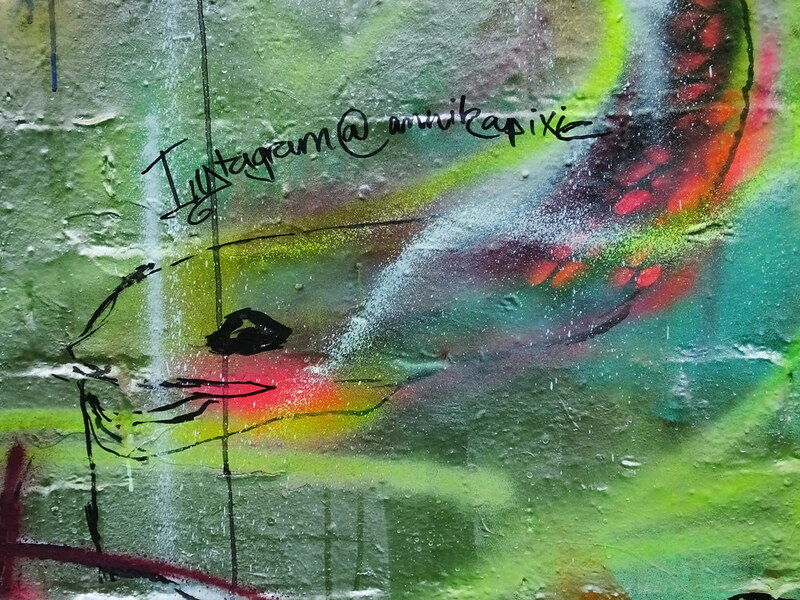 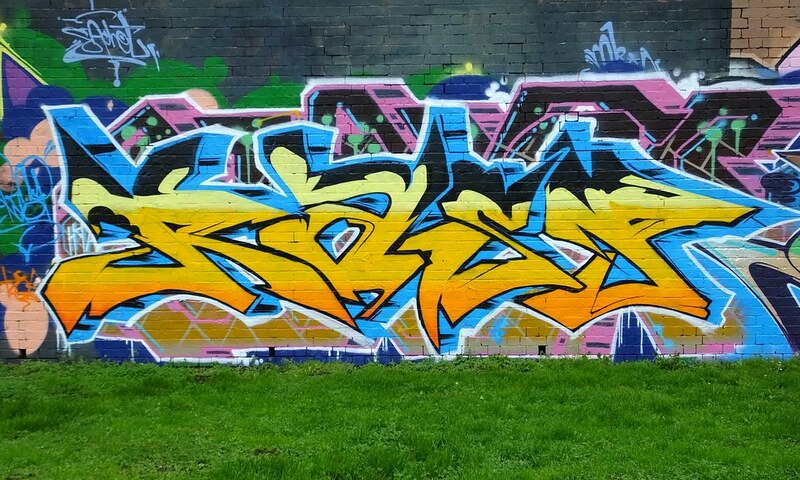 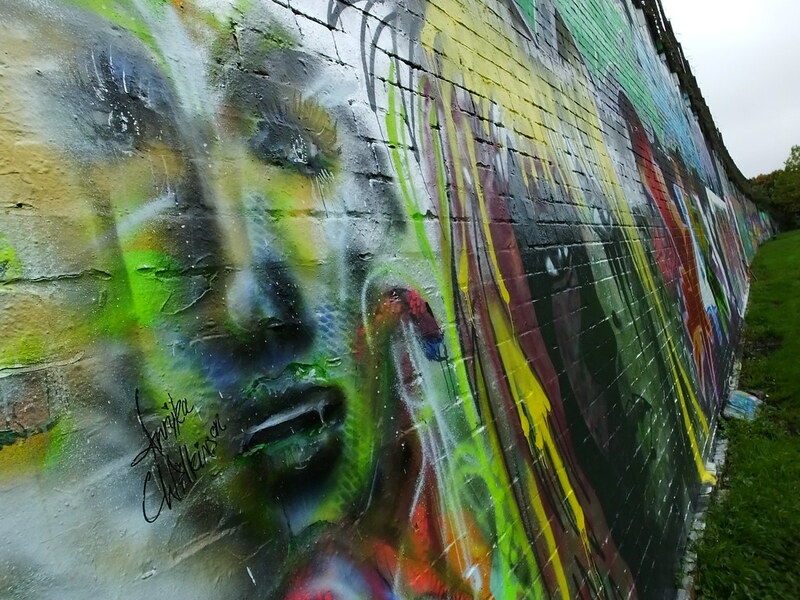 The legal graffiti wall attracts a range of artists from Cardiff and beyond – featuring a range of abilities and styles – some are old-timers whereas newer artists use the wall to test out and develope their own unique style. 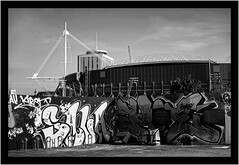 Whereas the wall attracts what is considered street artists who paint elaborate words, tags, characters and just about anything with traditional spray cans – the wall can also attract artists from outside this field with a few choosing to use paint, brushes and some other items as their medium of choice. 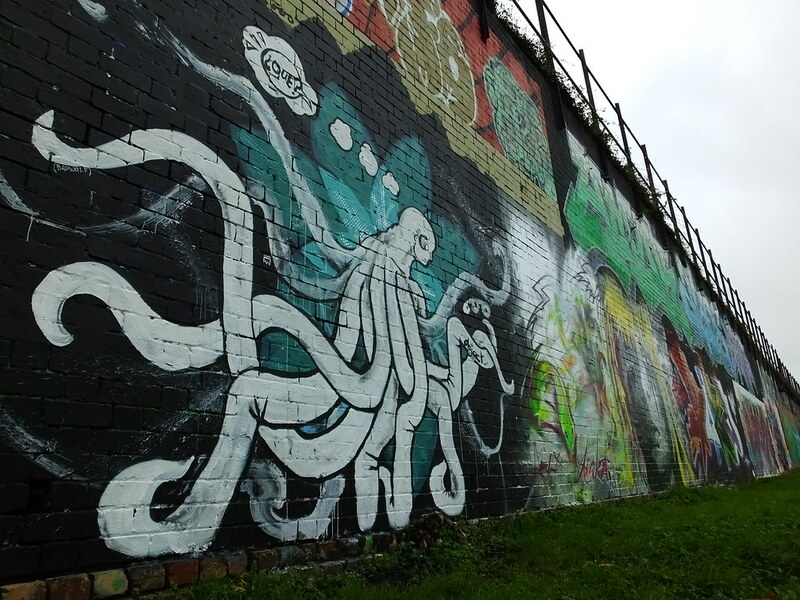 A small meeting of a few artists from either side of the Bristol Channel included Annika Wilkinson, Jee See, Unity & Miller. 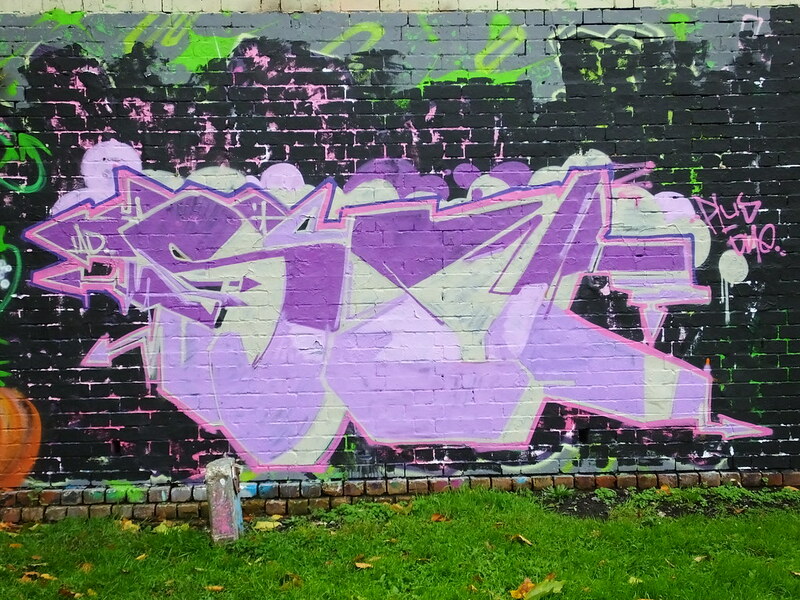 Next featuring a shimmering silver backdrop with this 70s character created by Jee See. 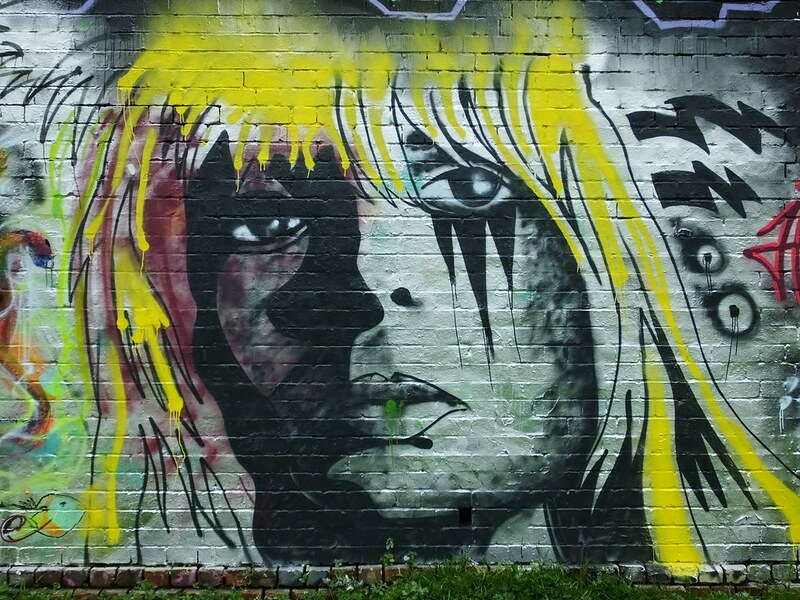 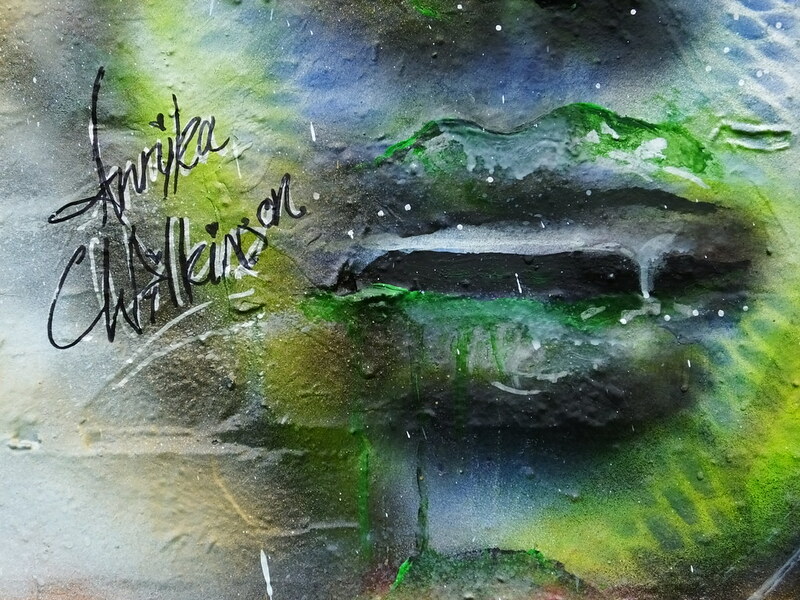 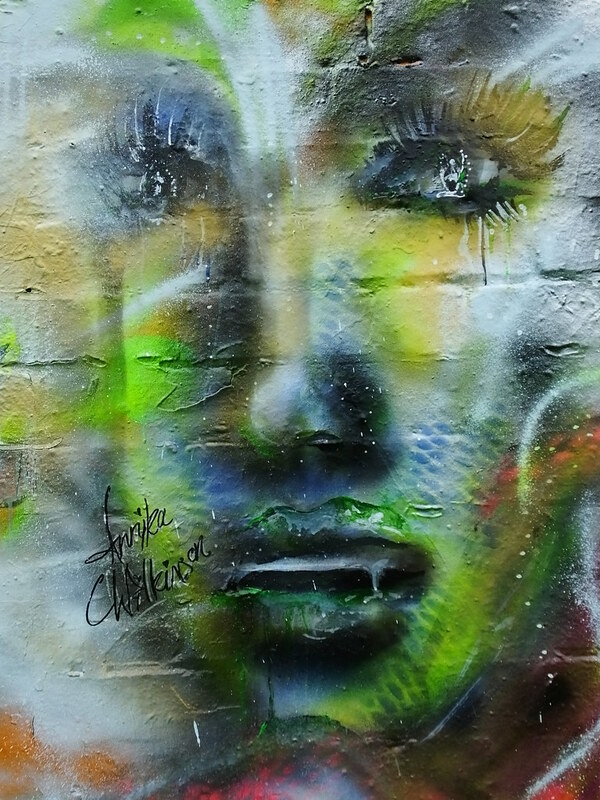 Here Bristol based artist and illustrator, Annika Wilkinson, took to the walls to paint this fantastic face with green highlights and some slithering snakes too!. 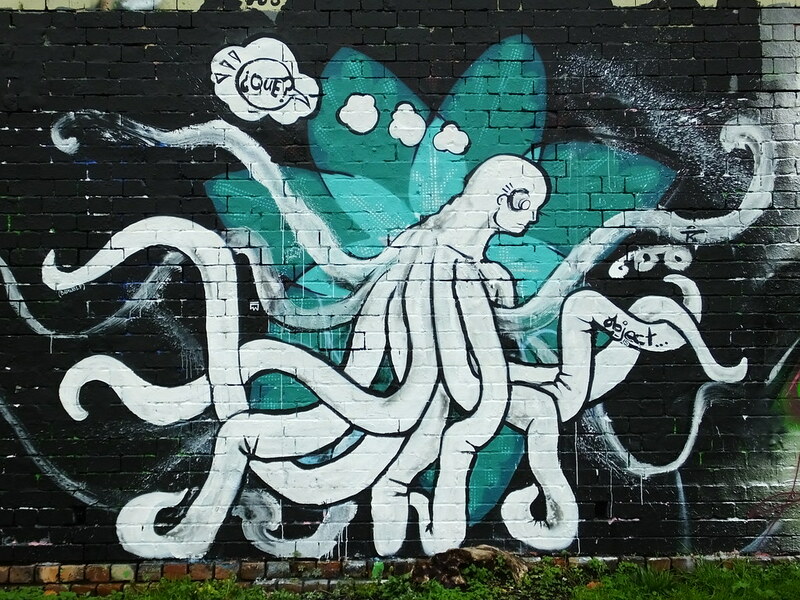 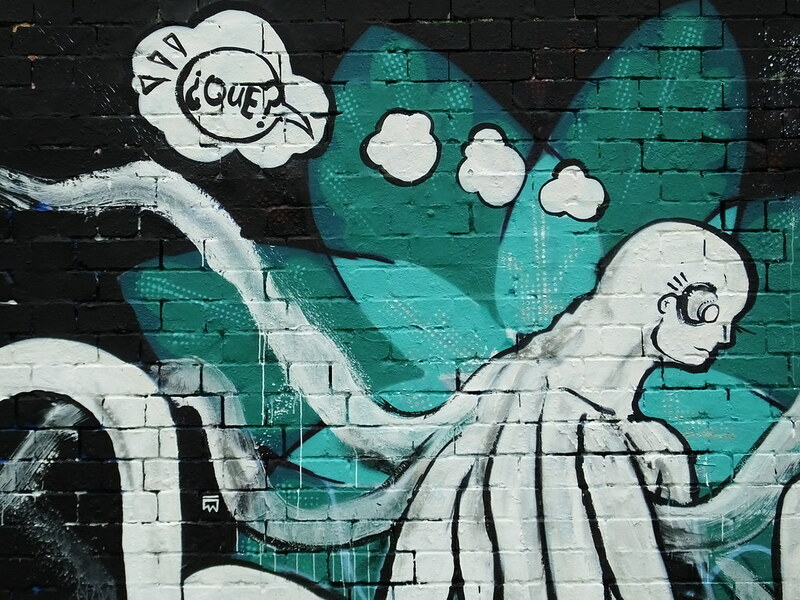 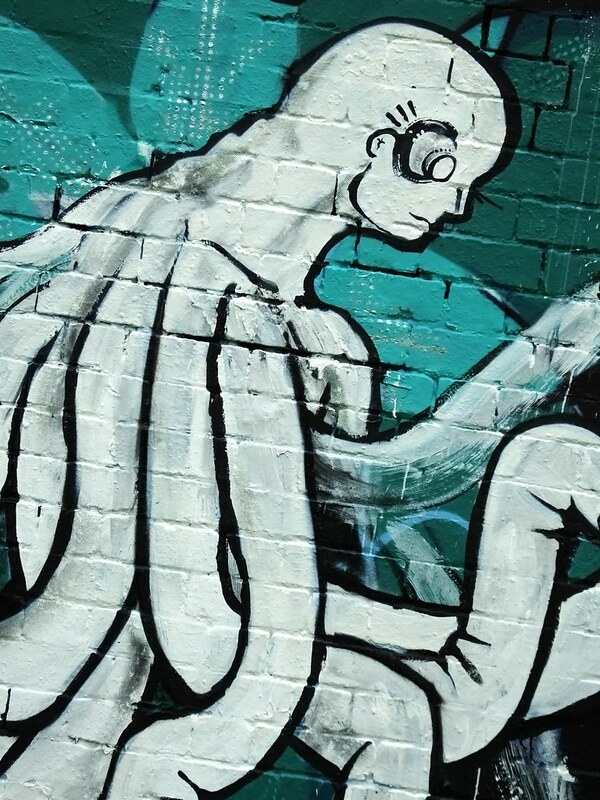 And lastly a striking piece featuring a human octopus deep in thought by artist Object… also from Bristol who is a mixed media artist developing an aesthetic of the found and upcycled. 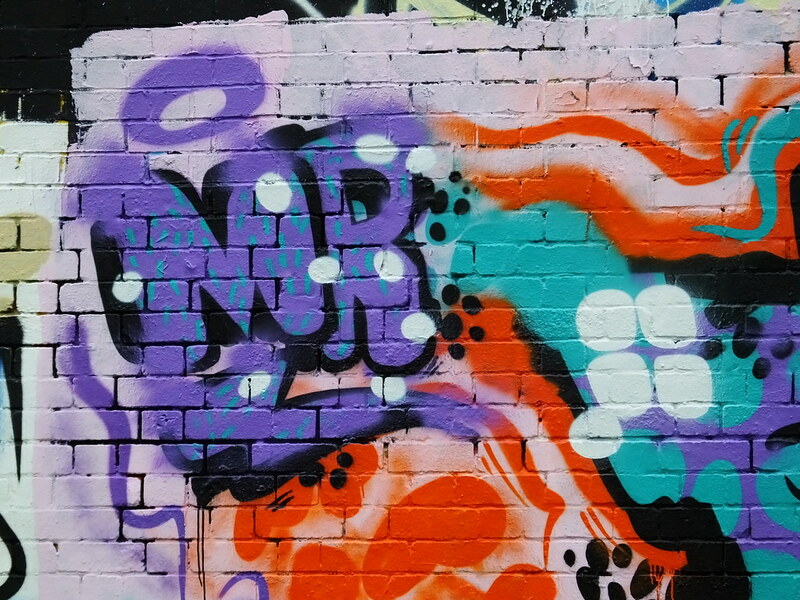 Utilising paint throughout this piece but look more closely and you can see that pads and other items have been used to create patterns and effects for the work.